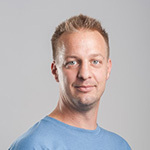 Dr Šarabon graduated in parallel from two undergrad degrees (Physiotherapy and Sport pedagogy /training) and obtained a PhD from sport science. 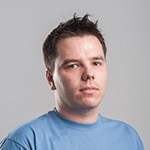 He works as a lecturer and a researcher at the University of Primorska (Andrej Marusic Institute) and our company S2P as the head of the research group. His scientific focus is human balance, functional stability, strength, power and neuromuscular control. He used to be a member of a national team in karate and still continues to work as a physical trainer with several world-class athletes and as a consulter to different national teams. He is closely involved in the development and has authored over ten patents. He is regularly involved with the Slovenian Olympic committee to translate scientific knowledge into practice. Dr Šarabon with his work incorporates theory and practice, research and development, prevention and training, academics and enterprise. He is undoubtedly one of the leading scientists/experts in the field of sport science in Slovenia. 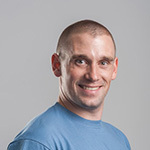 Dr Fonda holds an undergrad degree in sports training and a master degree in kinesiology. He obtained his PhD at the University of Birmingham, in the UK. He is a former semi-professional cyclists and is known to successfully translate scientific knowledge into an applied setting and vice versa. After his undergrad degree he started working with several cyclists in the field of training, biomechanics and recovery. He upgraded his knowledge during his master study at the University of Primorska and his doctoral study at the University of Birmingham, where he focused on motor control and biomechanics of cycling. Some of his research in the field of cycling biomechanics became a standard for thousands of bike fitting experts worldwide. He received numerous scientific awards for exceptional scientific achievements and is an author of two patents and over 50 scientific publications. Dr Panjan is a software engineer with a degree in computer science and a PhD in artificial technology. He is the head of development in our company as the principle software architect. His research focus is development of advanced algorithms of artificial inteligence used in kinesiology. In that field he authored over 10 scientific publications, presented on over 15 conferences and patented over 10 innovations. Miroslav obtained an undergrad degree from electrical engineering and plays a vital role in the development and assembly of innovative electronics, sensory elements and also software engineering. 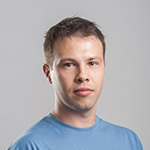 He is a doctoral researcher at Faculty of electrical engineering at the University of Ljubljana and is continually involved in research within our company. He has published 3 scientific papers and presented on 4 conferences.